Design Restaurants has been a supporter of Masterpiece since its inaugural show in 2010. Attracting the ‘best of the best’, the fair provides a unique fusion of old and new, traditional fine art and antiques juxtaposed with more contemporary works of art and premium collectors items. 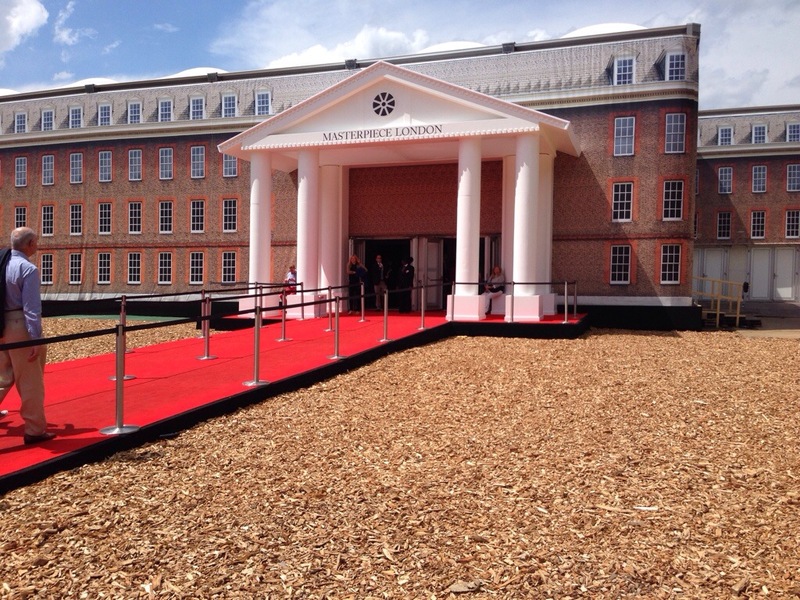 The quality and attention to detail is extraordinary, not least the incredible temporary structure built on the South Grounds of the Royal Hospital Chelsea to hold the exhibition. Each item at the fair is individually vetted by 26 committees of independent experts and specialist before the event opens, giving buyers every confidence in the works being offered. Design Restaurants owner and Managing Director Tessa Shreeve said “Masterpiece always gives me something to dream about – it is so inspirational to see so much true craftsmanship all under one roof”. Once again exhibits both delighted and challenged. Best Stand went to Sladmore Contemporary who meticulously recreated sculptor Nic Fiddian Green’s studio. As well as being an impressive feat of design it has paid dividends with at least 10 sculptures and 2 drawings being sold by the artist to date. As we normally do, we each picked our favourite pieces at the show for the blog – the criteria is simply ‘what you remember the best’ and the results are always intriguing! Sandy chose the sparkliest yellow diamond necklace she had every seen, courtesy of Cartier (check out the special lights to make it sparkle even more!). I chose the delicate glass models of jelly fish encased in glass tubes by Steffen Dam. Tessa, well Tessa chose an amazing soft toy ‘sculpture’ ottoman which was on sale for a not very cuddly £18,000! Although normally we would stop for lunch in one of the excellent Caprice pop-up restaurants sited at the show (this year Le Caprice, The Ivy, Scott’s, The Mount Street Deli, Urban Caprice) we instead chose to partake in a glass of Ruinart before hotfooting it across to Marylebone for dinner at Chiltern Firehouse – click here for our review. Our congratulations go to Nazy Vassegh and her wonderful team at Masterpiece for another inspirational and stunning show. Download the Fine Dining by Design Restaurants app for free here for apple and here for android. Design Restaurants Club Members enjoy exceptional member dining benefits at the very best restaurants in the UK and invitations to wonderful lifestyle events such as Masterpiece. For details on how to join go to www.designrestaurants.com or call 01276 850581 today. Next articleCompetitionsIntroducing D&D London Restaurants + Win Dinner for Two!